Welcome to our next challange: competing on FTarget on a regular GP! Just like in F1 we will race for approximately 300 Km! After race1 in SPA we decided to shorten the race length to 200 Km! A good strategy, consistency, stamina and concetration on every lap will be the required to win these races. We are providing old F1 skins (check our download area). This will not be a team race. Everyone will race for him self. We will create one team only: Radiators-Champ Team. We will have up to 3 servers running at the same time. Entry list will be based on the allocations. Drivers will be distributed in different servers, and will have 30 minutes to set their time. At the end of the session drivers will go to Chat again. Combined results (aggregation of the results on all servers) will be used as entry list for the qualification. Qualification and race will follow. This format will allow having homogeneous groups and challanging races. First race 8 Nov 09: Spa-Francorchamps 44 laps (300 km)on the FTarget. We might organise other races in the future with the same format. Pronti per la prossima sfida? Un vero Gran Premio con la Formula Target! Cosi' come nella Formula Uno gareggeremo per circa 300 km! Dopo la prima gara a SPA abbiamo deciso che le successive gare saranno di 200 km. Una ottima strategia di gara, consitenza sul giro, capacità di resistenza e concetrazione assoluta in ogni giro saranno requisiti necessari per aggiudicarsi la vittoria. Forniremo uno skin pack che riproducono le piu' belle F1 del passato (controlla la nostra sezione dowload.). Questa non e' una gara a squadre. Ognuno gareggera' per se stesso. Creeremo un solo team: Radiators-Champ Team. Avremo 3 server attivi nello stesso momento. Creeremo una Entry list per la pre-qualifica basata sulle allocations. Ad ognuno verra' assegnata una skin. I piloti saranno smistati in server differenti ed avranno 30 minuti per segnare il proprio tempo. Alla fine della sessione i piloti torneranno in chat. I risultati combinati (aggregazione dei risultati in tutti i server) saranno usati come entry list per la qualifica vera e propria. Una volta collegati al server si avranno le sessioni di Qualifica e Gara. Questo formato ci permettera' di avere gruppi omogenei e gare combattute. La prima gara e' prevista per Domenica 8 Novembre 09: Spa-Francorchamps 44 giri (300 Km) su FTarget. Probabilmente organizzeremo altre gare con questo formato in futuro. Click here to confirm your presence to the race. Clicca qui per confermare la tua presenza per la gara. Just as a preview, this is the list of cars of the Classical F1 skins pack. Soon we will release a definitive package. I have sign up on the RSR GPOC champ site with a different passworth but same name than on the RSR forum! I become a mail to activate my new account, and when I try to puch on the url it comes a massage. Can I still participate tonight on the Spa race? Can you help me! If yes I would be very happy! The F1 skin I cant either download! It comes the same error massage! It is equal foer me what a F1 skin I become! Sure no problem Zoltan. I already assigned you a skin. check in the classical F1 skin pack topic. I will release soon the package. I will try to see what is the problem with your account later on. Anyway, don't worry, you r enrolled for tonight! I know now the prob!" It was a error in the passworth! I tipped the 2th pint as a big one! I will change this some day later! Now I have sign up, yoin the team, downloaded the old F1 skins, dowloaded the "yellow" flags and set allocation for the race tonight, chat room is also working for me and have the hopefull right passworth, puuuuh many things!! Should I just make a choice when I come in to the pit the right Benetton nr.19 car? I must say in first time I didnt find my self on your RSR homepage! It might for some older guys such I am a bit confuse and maybe it is too multicolored, but dont be angry, this is just me!! Tnx anyway and Good luck tonight! Scusa Andrea ma il campionato endurance è finito? No the endurance championship is not finished yet, but we will take a break with official event of this championship during the holidays. We are planning to have 2 more endurance races and then starting with a new season, maybe with something new. After 6 long race and 1150 km of tought race, we finally have a winner...no, actually we finally have 2 winners: Mario Gilles and Stephane Migrouille. Amazingly this championship has been really close until the end. After 5 races 3 drivers were fighting for the championship title. Only 3 points between them. The final result was even more surprising: 2 drivers with with the same points! You could say that in real life, you will count how many victories a driver would have, but, who cares! It's not specified on our rules, and having 2 winners it's too nice to be true! So congratulations to our 2 winners first of all, and to all drivers that have been fighting in our league. 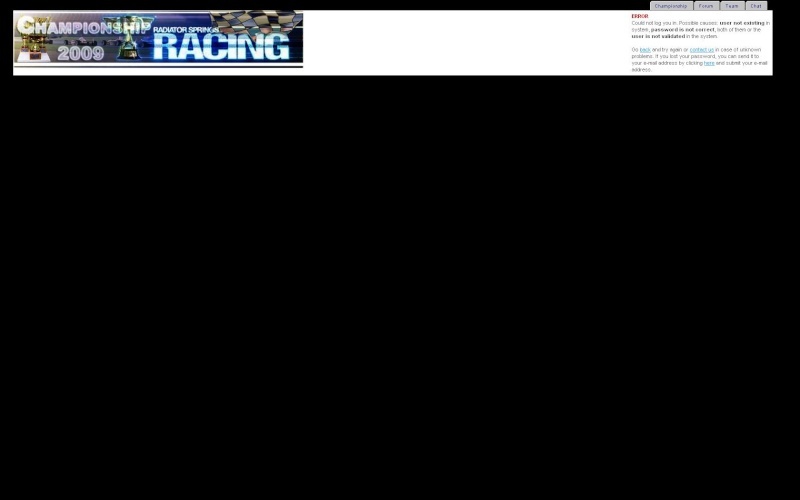 Endurance races: boring? Not at all! Check the last part of the video! Mario and Stephane have been fighting until the last lap, and same goes for the 3rd place in Adelaide, with Fortunato overtaking Vincenzo on the last lap! Well done guys. I hope you enjoyed! See you at our next championship.